Professor Nora Belzowski joined the Valparaiso University faculty in the summer of 2012. She provides administration and leadership for Valpo’s Information Literacy Program and is the librarian for science and engineering. She also works closely with the Valparaiso Writing Program. Before joining the Christopher Center, Professor Belzowski received her Master of Library Science degree from the Indiana University School of Library and Information Science, Indianapolis. Her graduate work included directed research at the University of Notre Dame Hesburgh Libraries and an internship at the Saint Mary's College Cushwa-Leighton Library. Prof. Belzowski also has a MA degree in English and previously taught composition courses at Indiana University, South Bend. Arteaga, Roberto, Nora Belzowski, Rachael Muszkiewicz, and Mark Robison. “Welcome to Your Library: How an Orientation Can Set Up International Students for Academic Success” Improving Library Services in Support of International Students and English as a Second Language (ESL) Learners. Eds. Leila Rod-Welch and Kendra Skellen. Belzowski, Nora, Kristi Bugajski. “The Utility of Social Media for Teaching Information Has Value.” Framing Information Literacy: Teaching Grounded in Theory, Pedagogy, and Practice. Eds. Janna L. Mattson and Mary K. Oberlies. Chicago, IL:Association of College and Research Libraries Press, 2018. Print. Belzowski, Nora F., J. Parker Ladwig, and Thurston Miller. "Crafting Identity, Collaboration, and Relevance for Academic Librarians Using Communities of Practice." Collaborative Librarianship 5.1 (2013): 3-15. Belzowski, Nora. The Middle Space. MA thesis. Indiana University South Bend, 2010. Print. Invited Webcast: Framing Information Literacy: Information has Value (with Kristi Bugajski). Association of College and Research Libraries e-Learning Webcast Series, August 2018. Facilitator: Google: Getting Students from Surface to Deep Searching. Academic Libraries of Indiana Information Literacy Unconference, July 2018. Poster: Kill the One-Shot: Using a Collaboration Rubric to Liberate the Librarian-Instructor Partnership (with Mark Robison). American Library Association Annual Conference, New Orleans, LA, June 2018. Intersections of Information Literacy and the Writing Program, Writing Intensive Curriculum Faculty Seminars, Valparaiso University, August 2018, November 2017, May 2016, April 2016 (2), December 2015 (2), November 2015, June 2013, August 2013. When Patrons Give You Lemons: Using the Framework as a Tool for Communication & Student Learning, Curriculum Committee Workshop for Library Staff & Faculty, Valparaiso University, 2015. When Faculty Give You Lemons: Using the Frames to Revolutionize the Library Visit, (with Mark Robison). Indiana University Libraries Information Literacy Colloquium, Kokomo, IN, 2015. Building a Culture of Equity and Inclusion Primer, (with Elizabeth Lynn). 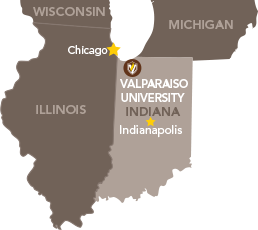 Valparaiso University Fall Faculty Workshop, 2015. Building a Culture of Equity and Inclusion, (with Trisha Mileham). Professional Development Workshop for CCLIR Library Faculty and Staff, 2015. Faculty Learning Community Panel Presentations, Valparaiso University. Flipped Classrooms, Invited by Academy of Process Educators conference organizers to serve as panelist, Process Education Conference, Valparaiso University, 2014. Realistic Role Play, Invited by the Valparaiso Institute of Teaching and Learning to serve as panelist, Symposium on Innovative Pedagogy, Valparaiso University, 2013. Research Writing in the Disciplines, (with Trisha Mileham, Debra Dew, Rachael Muszkiewicz, and Jon Bull) Georgia International Conference on Information Literacy, Savannah GA, 2013. TREATS Writing and Information Literacy Workshop, Valparaiso University, 2013, 2012. Introduction to Faculty Learning Communities and Faculty Learning Communities at Valpo, Brown Bag Information Sessions on Faculty Learning Communities, four sessions, 2013. Circulation Sluggish? Try These Remedies, (with Suzanne Hinnefeld) Indiana Library Federation Conference, Indianapolis IN, 2012. Communities of Practice: Crafting Identity and Relevance for Librarians, (with J. Parker Ladwig and Thurston Miller) University of Notre Dame, Notre Dame IN, 2012. Rare books, Legos, Woody Guthrie, gadgets, mysteries, nature, coffee…. Professor Belzowski lives with her husband Mike on 13 acres in La Porte County, within a few miles of Lake Michigan.